The app world can sometime amaze you. There are apps present for many things that you might not have even imagined. 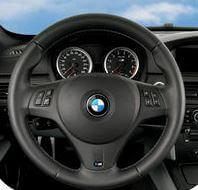 This post will talk about some of the top best car horn apps. Some time when you need to surprise any one with a car horn, in that case these apps could really help you.These car horn apps could also be used for annoyingly humorous ringtones as well. In case you are planning to wake someone up and prank them by surprising with a car horn, then these apps could be handy for you. These apps that I have listed down below are absolutely free to use and there is absolutely no need to pay for them. 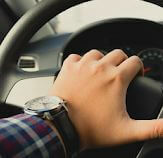 This list of car horn apps contains apps for android and ios users. iHonk is the first app that comes to my mind. This app is exclusively for ios users. You can use this app for those cars who have blocked your pedestrian way. From now onward, there is no need to feel intimidated by the cars honking at you. You can show your anger on the person using this car horn app. As honking as someone resembles your anger on the person that you are honking on. You can get back to them using this app which has some awesome quality of car horns for you. The app lets you choose the steering wheel of your choice and then you can press the horn button to get the amazing sound of the horn. Hence this is pretty easy to use app and has great quality. A great app for all the android users, namely Car Horn Sounds. With all the types of sounds covered of the car, it has honks, beeps and other car horn sounds. The developer states that he has provided the sounds that exactly match the car horns of the New York City. As a result of which you will feel that you are walking on the streets of NYC. The apps includes honking, beeping, tooting and other horn noises that are just amazing to use. This is also a free to use app and has some awesome quality sounds which are exact replica of the actual horn sounds. Using this app you would be able to produce the great and variety of horn sounds. 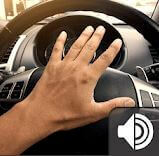 Car Horn Sounds is easy to use app and is very light on your smartphone as well. Car Horn is one more such app that could be used for some awesome car sounds. The developers have also included some antique car sounds. Hence if you want you can set them as your ringtone as well. This is also a free to use app and could be downloaded from the Google app store directly. The best part that I liked about this app is that you can include this app in your drinking party games as well which could be totally fun. 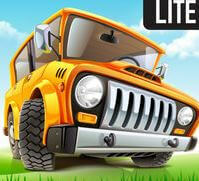 All the car sounds included in this app are in MP3 formats, hence they could be used easily elsewhere, if required. Users have mentioned that the horns are just like the horns of a car. Hence, there was literally no difference between the two. Car Sound is another cool app for you. With some amazing car horns, this is must use app. It is an exclusive app for the ios users, hence could be directly downloaded from the itunes store. This app has got image of different cars which have different horn sound. This app can great for kids. As they can practice identifying different horn sounds in a fun way. Car Sound app includes hundreds of Sirens, Horns, and Alarms that can be really fun to use. The current rating given by the users is 4.8 out of 5, which easily proves that this is a pretty decent app. This is the app developed by Apps For 2015 developers. This app includes all kinds of different sound horns. According to the developers they have included some of the angry car horn sounds. These car angry car horn sounds can easily express your anger to other people. These horns have exact sound as of a normal car car horn. Hence no one will be able to differentiate between the sound from this app and an actual car horn sound. This is certainly one of the best car horn apps that you have in the app store. With easy to use interface and light on your smartphone’s memory, this is an awesome app that you can directly download the google app store. some awesome and well researched content. This is just amazing for a person like me.